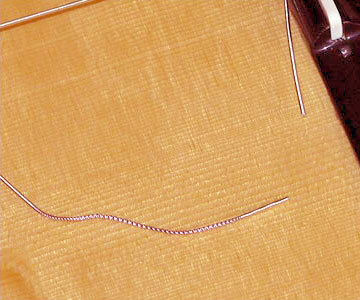 So I'll tie the knot using the end of the string that's at the top of the picture, and all the bad end is then well away from the vibrating section. 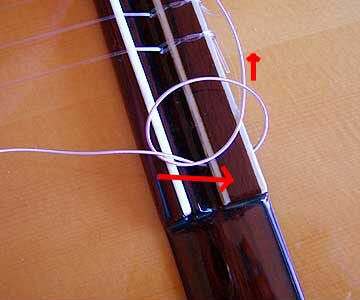 If you just poke the string through the hole in the roller and wind, it may slip a lot until there is a substantial amount of string on the roller. 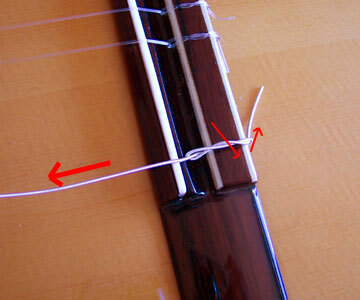 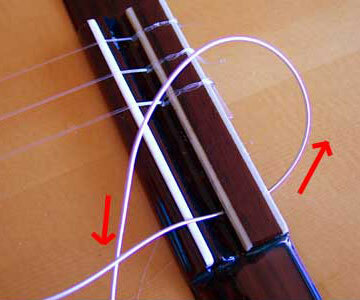 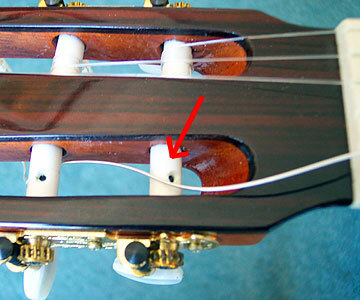 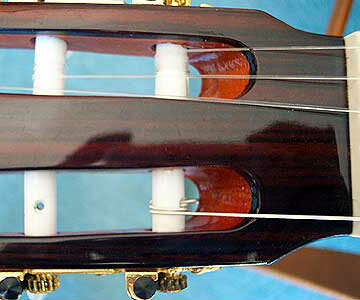 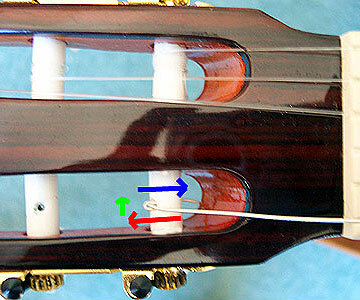 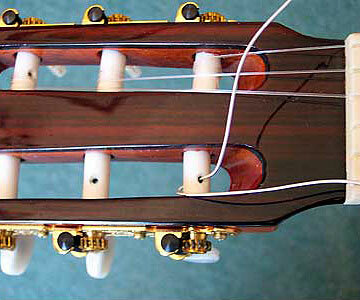 Here we go - at the tuning peg end, rotate the appropriate roller (arrowed) so that the hole is aligned as shown. 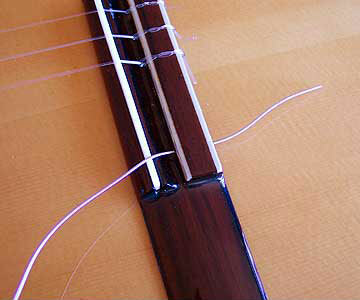 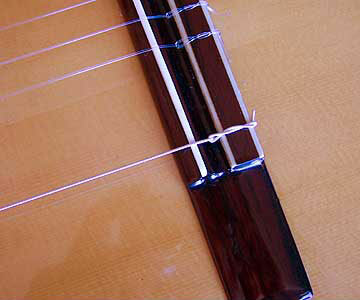 If your thickest string won't go back through, then don't worry - just wind the string - it's thick and rough so won't slip like the others.